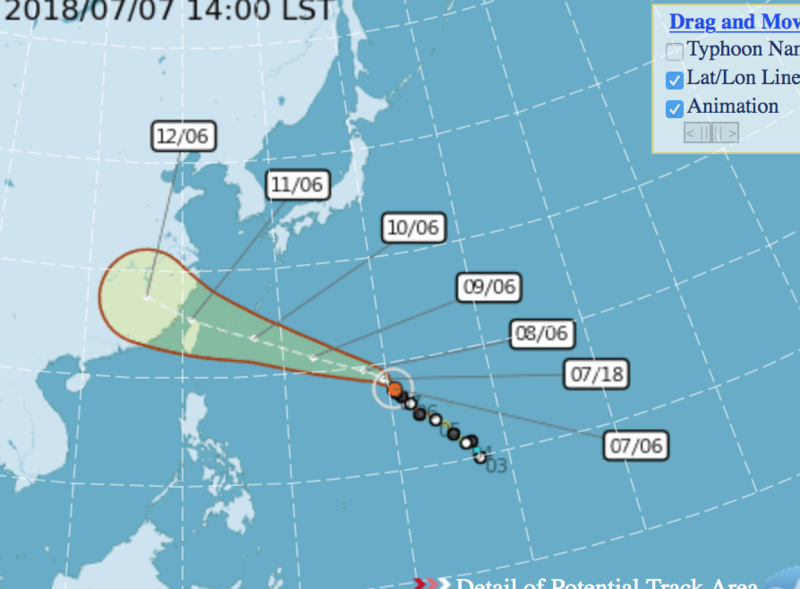 Latest forecast tracks are suggesting a chance of a direct hit with Taiwan. Yeah it looks like we'll have to put our trip to Haulien on hold. As it turned out, Maria stayed north and Taiwan seems to have gotten through relatively unscathed - but look out China! 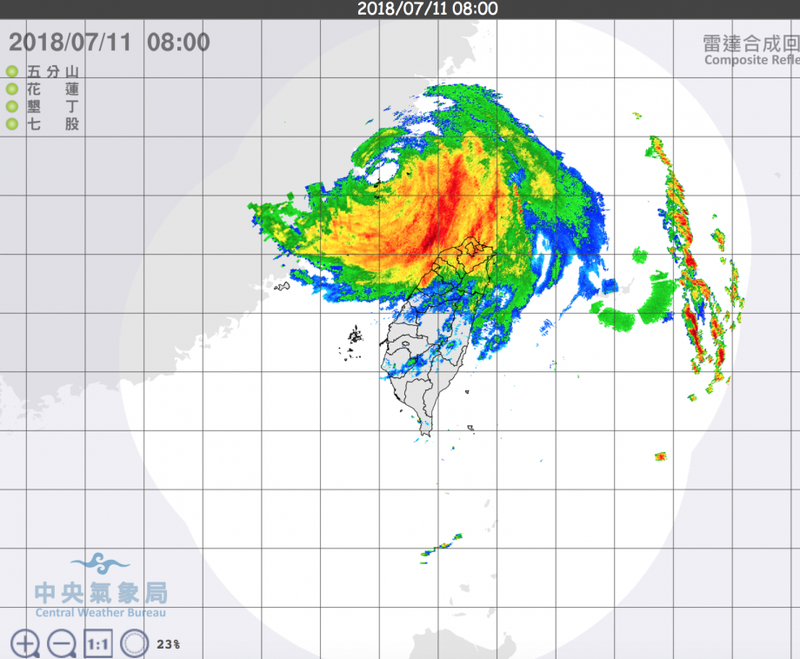 It's pretty rare for the coast of China to get clobbered by a full-scale typhoon, but that's exactly what's about to happen in the next several hours. 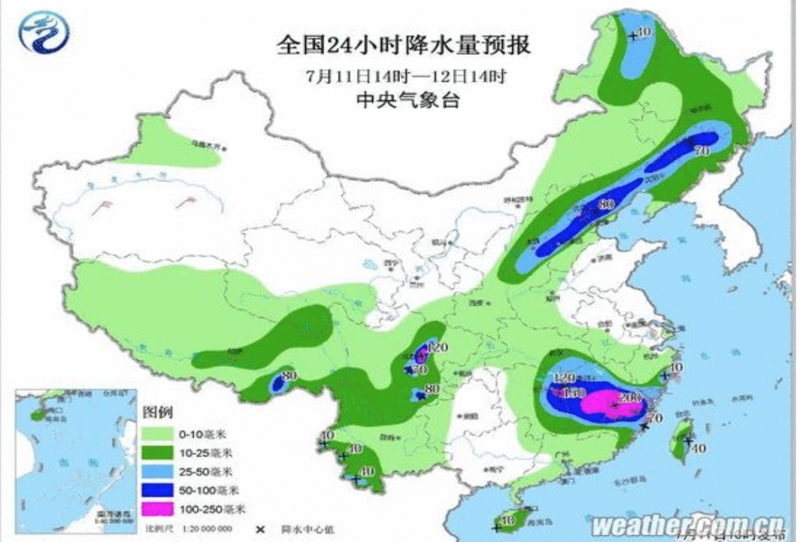 We can expect major devastation to result over a large swathe of China's mid-east coast-line - maybe even an unprecedented level. That's highly unusual and it sure wasn't forecast. We didn't get a thing out of this storm. I was hoping that it might at least cool us off a bit but not at all. I'd forgotten how harsh these Taiwan summers can be. I think I prefer Japan summers and Taiwan winters.